One young man's normal pizza delivery job turned into a nightmare when he was involved in a major motor vehicle accident. Firefighters from Engine 642 responded to the scene where they found two vehicles on John Street had been in a major collision, one of them was a pizza delivery man. 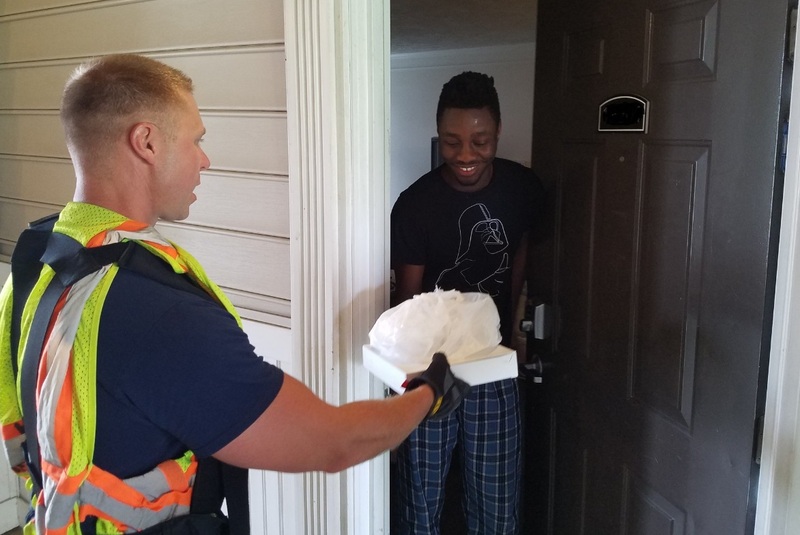 Lt. Jared Guhl of the Henrietta Fire District decided to help out the pizza delivery driver who was having a bad day and take the pizza to its destination for him. Since the pizza survived the collision intact, unlike the two drivers who suffered minor injuries, the firefighters made the surprise delivery themselves. "Once the patient was cared for and loaded into the ambulance the crew decided to finish the delivery so the pizza wouldn't go to waste," a post from the Henrietta Fire District's Facebook page said. After the pizza made its way to its destination, firefighters jokingly thanked the customer for ordering out and not risking the chance of burning food or setting off their fire alarm.